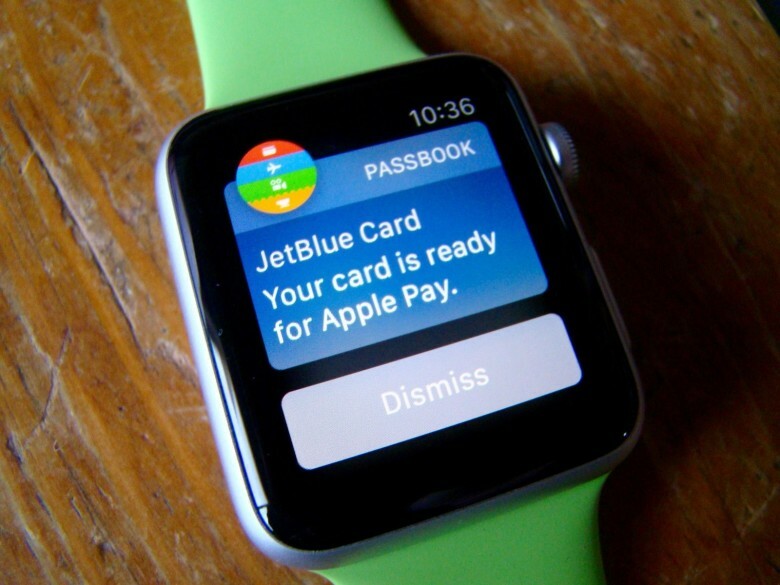 Apple Pay on Apple Watch. If a retailer asks for the last four digits of your credit card, but you’ve used Apple Pay, you might be out of luck if you use the actual digits off your plastic rectangle. Every time you give a retailer or waiter your credit or debit card to pay for goods or services, the actual account number is there for them to steal. 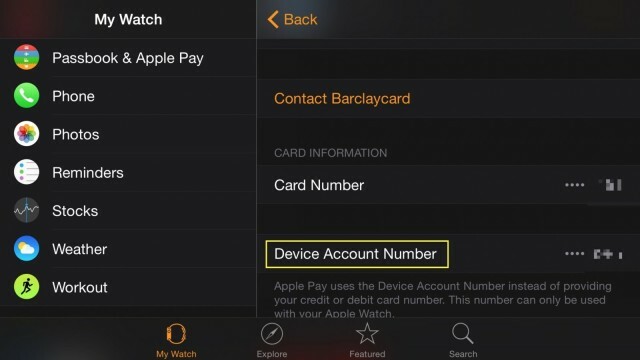 When you use Apple Pay, however, those numbers are hidden behind a unique “Device Account Number,” which is assigned, encrypted, and stored on a dedicated chip on your iPhone or Apple Watch. They don’t even get stored on Apple’s servers. Finding that Device number, though, can be tricky. Here’s how. 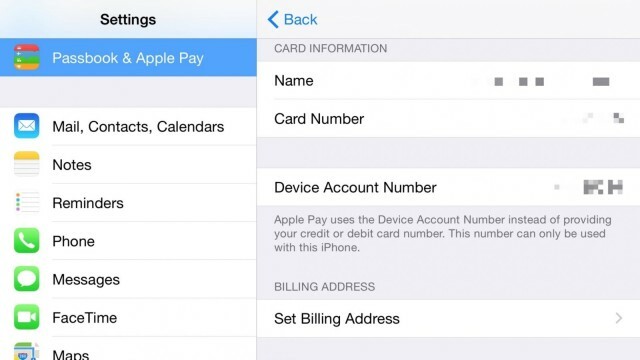 To find your unique Device Account Number on your iPhone, launch the Settings app and then tap into Passbook & Apple Pay section. Once there, tap on the credit card you want the Device Number for, and swipe down to the Device Account Number section. You’ll see the last 5 digits of the number string there so you can pass that along to the requesting retailer. You can also just launch your Passbook account and hit the little “i” info button, then swipe down to see the last four of your Device Account Number there. To find this for the Apple Pay cards on your Apple Watch (as the two devices add cards separately), launch your Apple Watch app on your iPhone, swipe down to Passbook & Apple Pay, and then tap on the card you’re dealing with. You’ll see the Device Account Number there, just under the last four digits of the card itself. From now on, when using Apple Pay, you should use this number whenever a merchant asks for the last four digits of your card number.